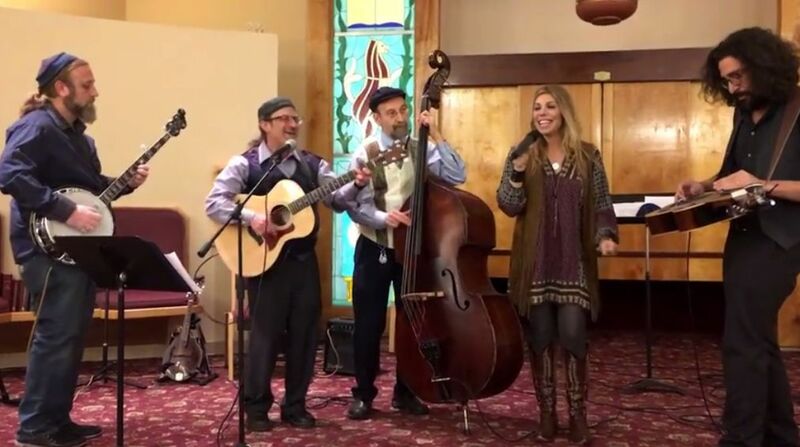 In the last couple of years, we've been highlighting some of the bluegrass music of Nefesh Mountain, founded by husband and wife team Eric Lindberg and Doni Zasloff. Nefesh Mountain is pioneering this blend of Jewish Americana throughout the country, bringing their unique knowledge and passion for both Jewish and Bluegrass traditions to the fore, singing English and Hebrew songs alike. Last year they appeared at Temple Beth El in Newark, Delaware, and joined in with Rabbi and composer Micah Becker-Klein, who leads the Reconstructionist synagogue, in his version of Shalom Aleichem.